Could Joe Ricketts get away with shuttering Gothamist for unionizing? The answer stems from a 1968 Supreme Court case that confronted this very situation. 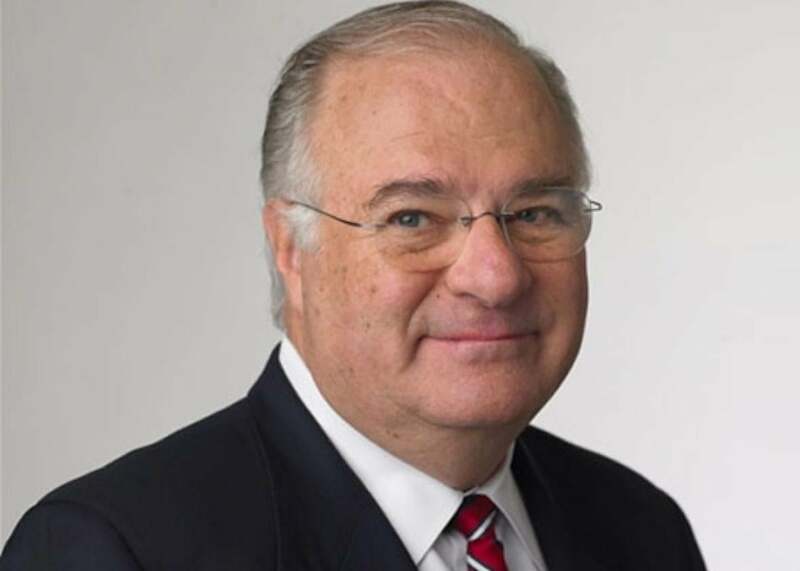 Last week, Joe Ricketts, the billionaire founder of TD Ameritrade and patriarch of the family that owns the Chicago Cubs, shut down the local news sites DNAInfo and Gothamist. Ricketts’ decision to shutter his sites—which had editions in Chicago, Los Angeles, Washington, and elsewhere—has been met with widespread media attention mainly for the fact that it appears tied to the decision of 25 of 27 employees in the New York operation to vote to join the Writers Guild of America–East, a labor union that represents reporters and writers. (Disclosure: WGAE is currently working with Slate editorial employees on unionization efforts at Slate.) These employees had announced their intent to unionize several months ago, and Ricketts’ shutdown announcement came just one week after the official vote to do so. In his shutdown notice, Ricketts suggested it was purely a business decision. As Hamilton Nolan noted in the New York Times, though: “DNAinfo was never profitable, but Mr. Ricketts was happy to invest in it for eight years, praising its work all along. Gothamist, on the other hand, was profitable, and a fairly recent addition to the company.” Last month, meanwhile, Ricketts wrote that “unions exert efforts that tend to destroy the Free Enterprise system” and said he was “against” unions operating at companies he started. On Thursday all DNAINfo and Gothamist webpages redirected to a letter from Ricketts containing the shutdown announcement. (The sites eventually returned, but it’s unclear what will become of the archives going forward.) More than 100 people were immediately out of a job after Ricketts chose to impose the corporate death penalty rather than be compelled to go through a collective bargaining process with one of his offices. It is worth mentioning here that Ricketts shuttered DNAInfo and Gothamist even before receiving any demands from the recently formed union. Given that the National Labor Relations Act prohibits employers from discriminating against employees “in regard to hire or tenure of employment or any term or conduction of employment to encourage or discourage membership in a labor organization,” is it legal to close up shop in light of a vote to unionize? The answer principally stems from a 1968 Supreme Court case that confronted this very situation. In Textile Workers Union of America v. Darlington Mfg. Co., workers brought a complaint before the National Labor Relations Board after Darlington Manufacturing permanently closed a single textile mill in South Carolina following the employees’ decision to unionize. The NLRB found that the plant closing was principally driven by animus toward the union organizing effort and ruled that such conduct violated Section 8(a)(3) of the NLRA, the portion of the act that prohibits employers from discriminating against employees who engage in unionizing. Darlington appealed the NLRB ruling and the case eventually reached the Supreme Court. The Supreme Court took no issue with the NLRB’s decision that Darlington’s decision to close the plant was driven by animus towards the unionization effort, but it nevertheless overturned the NLRB decision holding that the “bona fide complete liquidation of a business, yielding no future benefit for employer in labor relations, is not the type of discrimination prohibited by statute even if motivated more by spite against union than by business reasons.” In other words, the Supreme Court held that if a business wants to shut down to thwart union activities, it can do so. There was one important exception, though, and it might have direct application in the DNAInfo–Gothamist situation. That exception, per the high court, was “a discriminatory partial closing [which] may have repercussions on what remains of the business, affording employer leverage for discouraging the free exercise of [union organizing] rights among remaining employees.” Put plainly, if an employer shutters only some of its operations to discourage workers in other parts of its business from unionizing, then that would run afoul of the NLRA. It is this exception that likely explains Ricketts’ decision to shutter the entire DNAInfo–Gothamist portfolio and not just the offending unionizer. If he had closed the New York office but left operational the Chicago and Washington, D.C. outfits, then under the Darlington precedent, he likely would have been ordered to re-employ his New York staff at his other two locations. Ultimately, more than two decades after the Darlington case started, the NLRB determined that the owners of Darlington Manufacturing had meant to discourage workers at other companies they owned from potentially unionizing. Although Darlington operated only one mill, that mill was controlled by a family that had interests in 17 others across the country under a company called Deering Milliken and Co. When the Supreme Court overturned the NLRB’s original decision in the Darlington case, it ordered a new NLRB hearing to determine (a) whether Darlington was a “single enterprise” or part of the wider operations of the Deering Milliken group, and (b) if the “purpose and effect” of closing the Darlington mill was to discourage union activities at the other Deering Milliken–controlled mills. The NLRB ultimately ruled in favor of the employees, finding that Darlington was not a single enterprise and that the move was intended to discourage union activities. The eventual pro-union outcome of the Darlington case should provide little comfort to the employees of DNAInfo–Gothamist. Because that case took more than two decades to wind its way through the NLRB and court system, only one of the original 350 employees affected by the Darlington shutdown was ever rehired at another Deering Milliken plant. The vast majority had moved on, died, or had otherwise become unemployable during the more than 20 years the case was pending. This suggests that the DNAInfo–Gothamist writers and editors affected by Ricketts’ decision to shutter his properties face a very long legal battle ahead. It’s unclear what their next steps might be, but on Monday WGA East Executive Director Lowell Peterson said during a protest that Ricketts may have violated labor law and that “WGAE will make sure [these journalists’] rights are protected and their voices are heard.” Since Ricketts shut down all the DNAInfo–Gothamist websites, they will have to show that his actions were at least partially meant to discourage union activities in his other business holdings, and that the DNAInfo and Gothamist sites were a part of these operations and not standalone enterprises. The first will likely be easy to show; after all, Ricketts himself wrote a blog post earlier last year stating he does not want his workers to unionize. Proving that DNAInfo–Gothamist is connected to the wider Ricketts portfolio of businesses will be much harder. While the Supreme Court’s binding ruling in Darlington did speak directly to the issue of relatedness between corporate entities, it did not create any specific guidelines about what corporate connectedness entails. NLRB decisions, such as the ruling that Deering Milliken violated workers’ rights, are not binding precedent on future board rulings but can act as persuasive authority to guide the board. As a result, there are often NLRB decisions that come out on opposite sides of the same issue. Ultimately, any decision regarding the DNAInfo–Gothamist closure will be driven in large part by the NLRB’s beliefs regarding how the Darlington rule should be applied. That’s where politics come in. A ruling in favor of DNAInfo–Gothamist would require the NLRB, which is controlled by a majority of Republicans after President Trump’s recent appointments, to hold that a billionaire who dabbles in a lot of entrepreneurial endeavors can be liable across those enterprises for anti-union activities. The ambiguity in the rule will allow the NLRB great latitude in its decision-making. Essentially, the board will do what it wants to do, and if it weighs the facts of the case reasonably, it will likely be safe in any appellate review. It is worth noting here that Ricketts reportedly donated at least $1 million to the effort to get Trump elected. His son, Todd Ricketts, meanwhile, was nominated by Trump to be the deputy secretary of commerce but withdrew his nomination after concerns over potential conflicts of interest. Prior to Trump taking office, the NLRB had a considerable pro-labor tilt that likely would have seen Ricketts’ move for what it was: a blatant attempt to undermine unionization in new economy jobs. This NLRB, though, is likely to side with Ricketts, leaving forceful defense of the NLRA to a time when our government is less controlled by the parochial interests of billionaires.